This cacao grows in the lowlands of La Paz, Bolivia - a region known as Alto Beni. 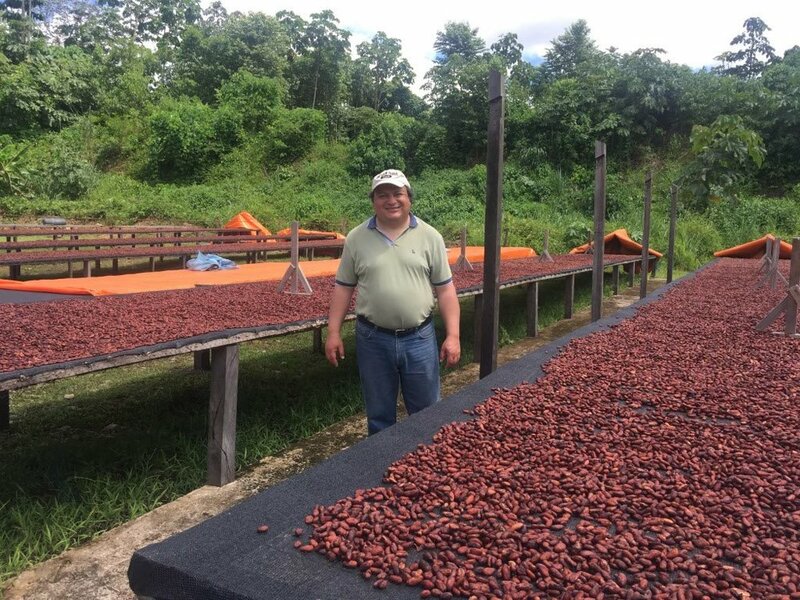 Nelson and Jorge Valverde, brothers from Bolivia, started the Alto Beni Cacao Company in 2010 to help develop the cacao industry in the region and as a result improve the economic opportunities. The company pays premium prices to farmers and collects, centrally ferments, and dries beans to ensure high quality, consistent cacao. All the beans come from small-scale farmers in rural areas who depend on cacao as a main source of income.